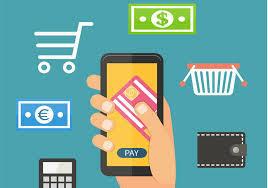 Reserve Bank of India (RBI) has now given strict rules regarding know your customer (KYC) rule for all Prepaid Payment Instruments (PPI) or mobile wallet. that has restricted the access of payment companies to its database, citing concerns over their security systems. UIDAI has categorized the mobile wallet company as local authentication user agency (AUA) and limited the access for full eKYC with Aadhaar number. It means that payment companies can only accept virtual Aadhaar numbers from consumers. Authentication User Agency (AUA) is only allowed to capture Aadhaar information from a person and submit them to the Central Identities Data Repository for validation. UIDAI fears that the payment company may not have the proper security systems needed to use or store Aadhaar numbers. It rather suggest to collect virtual IDs from consumers — to protect against misuse of their Aadhaar numbers — and use them for verification. With this new rule Prepaid Payment Instruments will have to resort to older methods of KYC via pan cards or driving licences or passports or voter id cards, which are costly means. Please send my UIDAI number again.